April 6, 2018: What do you do when the going gets tough? Are you the player who puts your head down and starts to feel sorry for yourself? Or, are you the one who looks at your teammates, says hop on my back and leads them through the tough times? I know which one I always strive to be… but HOW do we do this? Today, I am going to talk a little bit about mentality, which is one of the most critical yet overlooked components of any well rounded player. 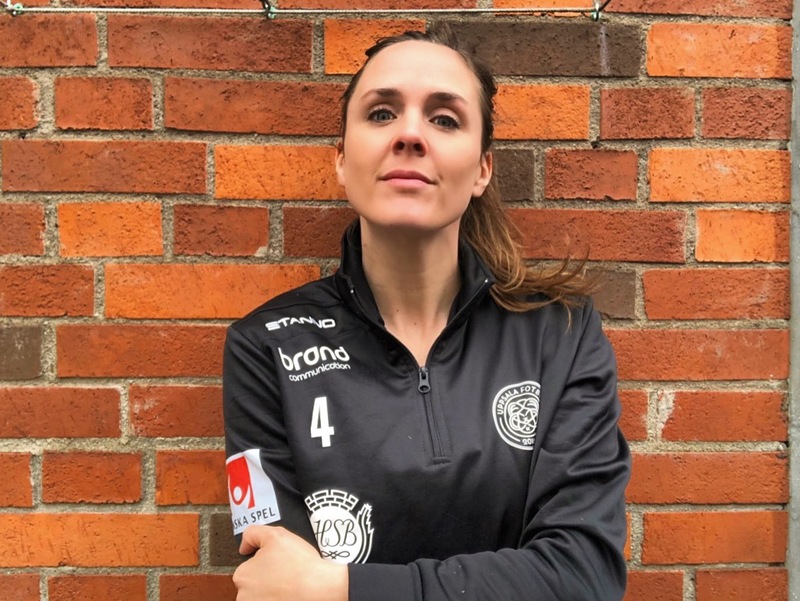 Last week, our team met with a mental coach, and while it wasn’t really anything I hadn’t heard before, it was such a good reminder about some crucial components of your game. I’d like to think that my mental game is one of my strongest attributes as a player, but that is just it, it is only one component of my game. Let’s think about soccer. You have four major aspects: technique, tactics, physicality, and mentality. We know how to work on the first three, don’t we? Let’s back it up. I’m going to take you through what mental coach Jonnie had to say. Your body is a complex thing. We know that already, right? It’s composed of many different systems that work together. Let’s do a very quick (and very laymen’s terms) biology lesson. You’ve got your central nervous system (CNS), which consists of your brain and your spinal cord. So far so good, right? So your CNS controls the activities in your body. Then, you’ve got your peripheral nervous system (PNS), which consists of the autonomic nervous system and somatic nervous system. Your somatic nervous system controls voluntary movements. So something like raising your hand in class, or kicking a ball. Then you’ve got your autonomic nervous system (stay with me, I’m almost to the point!!). The autonomic (think automatic) controls involuntary body functions: breathing, your heart beat, digestion. These are the things that you don’t really think about right? They’re happening even though you are not making a conscious decision to do them. 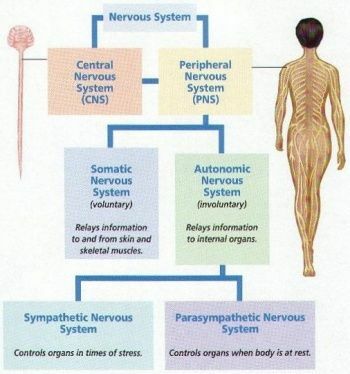 And this autonomic system is broken down into (drumroll please…..) the sympathetic and the parasympathetic nervous system! Which is where we’re going to sit for a second. The parasympathetic nervous system dominates function where you sit most of the time. Your heartbeat is within a “normal” range, your breathing is regulated, everything is working just fine. You can be in this state even when you’re playing soccer. Think about a basic passing drill you’ve done a thousand times. You know what to do, you don’t have to think too much about it, and you can sort of go through the motions. You’re calm and your body is working in a low-stress capacity. Now, we have the sympathetic nervous system. You’ve all heard it before, but it’s commonly known as the “fight or flight” response. When your sympathetic nervous system dominates, your heart rate increases, and blood flows faster. Your body (quite literally) is preparing to run for your life. It’s a primitive function based on caveman times when you probably had to run from a sabre toothed tiger or something. Not quite the type of stress we feel on the soccer field, but you get the idea. Have you ever heard stories of mothers lifting full sized cars because their child was stuck under it? That’s the sympathetic nervous system. Pretty cool, right? But, you need your parasympathetic system to kick in sometimes when you’re playing, so you can return to a lower stress state, and regain your poise. Think of yourself on the field when you’re at your worst. For me, this usually starts with a couple bad decisions in a row: a poor clearance, a bad pass, etc. Then, it picks up speed and suddenly maybe I misread a play or let my player go unmarked. I’m highly stressed. You can see it on my face, truly, and you can tell because I’m much more rigid, and my movements look erratic and rushed. Now, think of yourself on the field when you’re at your best. What are you doing? For me, I’m dominating tackles and 50/50 balls, I’m winning air balls and making good passes, both short and long range. I’m relaxed, confident, and in control. I might take a few more risks because of the added confidence, and it won’t affect my mental state so much. We all have these moments: stress (on and off the field) is a part of being human. But the key here is how to transition from your elevated stress state back into your more relaxed state. This is NOT to say that you should slack off on the field and not work hard. We’re talking about the mental changes you can make to achieve this. When you are feeling stressed, you need a plan to bring you back to your relaxed state. For me, one thing I can always control is my communication. Sure, maybe I’ve made a poor pass, or missed a tackle, but I can always return to my voice to refocus and regain control. Another smart thing to do is do the simple thing. One of my coaches in college always used to say “make the easy stuff look easy.” AKA, just keep it simple and smart and don’t try to be a hero. For example, I am not what you would call a great dribbler. So in these moments of stress, I shouldn’t worry too much about taking people on offensively, since it isn’t my strength. Stick to what you’re good at, and once you regain your confidence, you can start taking more risks again. Coach Jonnie said something that stuck with me. Older practice with mental training told us to just think positively in these moments of stress, but research is suggesting that perhaps that is not the best thing to do. Negative thoughts are just a part of life. They are going to pop up every now and again, and we don’t need to suffocate these negative thoughts with positive ones. We don’t need to act like everything is okay all the time. Rather, we should acknowledge them, and then move on. For example, let’s return back to me making a terrible pass. Perhaps my first thought is “Oh my God, Jessie. You are an awful player. Why are you even here?” In that moment, I need to take a second, acknowledge that I feel crappy, which is OK, but dismiss it as a feeling that isn’t necessarily true. And then move on! One way to stay in charge mentally is to set goals. We had a team meeting a few weeks ago to go over our goals for the season. I’m not going to go through what all of them were, but suffice it to say, that some are lofty, but all are possible. When you’re setting your goals, you need to remember to make them SMART (specific, measurable, achievable, relevant and time bound). Another thing that can make you mentally stronger is to take on the things that you are afraid of. I’m going to go into this deeper next week, as I’ve had a bit of an epiphany about this recently, but in brief… the more you avoid the things you are afraid of, the more powerful they become over you. As humans, it is in our nature to avoid the things that bring us pain, or remind us of an embarrassing moment. But the more you try and push that fear down, the stronger it becomes inside of you. Instead, we should tackle that fear head on. The more you do, the weaker the fear becomes, and you start to realize that you are stronger than you knew. Lastly, coaches, you can help too. I once had a coach that every time I made a mistake I looked over my shoulder to see if he was warming someone up to take me out. This is the sign of a bad coach. He had made me so nervous to make any sort of mistake that my entire game was focused on avoiding the negative. Build your players up. Make them feel confident to take risks and make mistakes. If your team isn’t making any mistakes then they aren’t getting any better – trust me. That’s a lot for one day, don’t you think? I do. Let’s dig deeper into this next week, shall we? Until then, peace, love, and football.